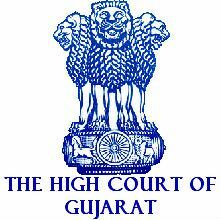 Gujarat High Court Jobs Recruitment Notification 2018.Gujarat High Court inviting applications for the positions of peon.Interested and Eligible candidates can apply for the positions. Applicants whose age is in between 18 to 35 years can apply. 8th standard pass candidates can apply for peon post. Through online mode from 01st September 2018 to 30th September 2018 candidates can apply for Gujarat High Court Peon Recruitment. https://hc-ojas.guj.nic.in/ is the link for contenders to apply directly.